Why does an egg float in some liquids and sink in others? We think the egg will sink in water but not in salt water. Also we think that the egg will float in seltzer because the bubbles will push up the egg to the surface. We think the egg will float in seltzer with baking soda because it would make the seltzer dense. We think the egg will sink slowly in vegtable oil because the oil is thicker then the egg. Be gentle with the egg. The oil is hard to get off without water and soap. Don’t mix ANY liquid without directions! We will need a sink near our station for the Science Night. An egg sinks in plain water because the water is less dense then the egg. That means that an egg has no air in it unlike the water around it. 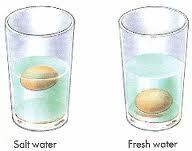 Eggs sink in salt water because the salt water around it is a lot more dense then the egg in it. The egg sinks in seltzer because is not very dense. Seltzer it is not very dense because there is air bubbles so it lightens the water. When the egg is placed in the seltzer all of the bubbles pop an the egg sinks. When the baking soda is added to the seltzer it makes the seltzer more dense, so the egg floats. 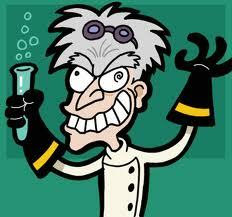 Vegetable oil is more thick then the plain seltzer but the egg still has more mass. This experiment is all about density and weight of the liquid or egg. She loves to ride horses and be outside. She loves to be outside and be creative.